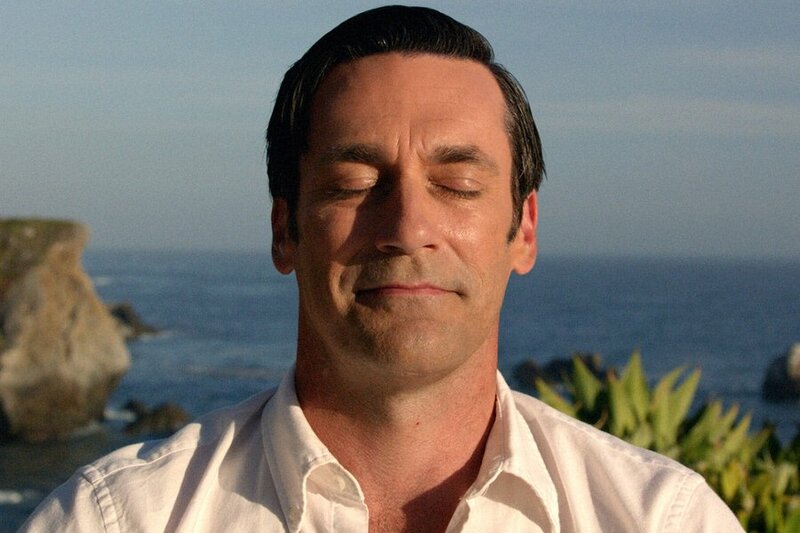 It’s been two weeks (nearly) since the Mad Men finale. It’s been a long process of digestion for me, but I’m finally ready to breathe deep, crack my knuckles and sit down at the keyboard to write about it. Joni Mitchell’s ‘Both Sides Now’ was the final song of Season 6, playing over the poignant scene of Don showing his kids the dilapidated house where he grew up, but it comes to mind now that the show is over and done with. It was the perfect track for a show that was all about duality – a show all about Janus, looking back both into the traumatic first half of the 20th century and on into our own time. And it wasn’t just about Don’s double life – as I’ve said many times before, Mad Men’s key conflict was between our own longing for and rejection of the past. So, it seems fitting that I’m still in two minds about this finale. One of the downsides of catching up with Mad Men after the US is seeing spoilers. It’s unavoidable – I follow several TV journalists and their tweets, whilst not specific, usually hint as to the mood of an episode at least. So, when the reaction of the twitterverse seemed to be ‘boring episode’, I was a little apprehensive going into ‘New Business’. I’m exhausted by the triumph of men at the expense of women as a narrative device. As I promised, I’d like to rebut this idea, with a particular focus on the half-season just gone, but also with reference to the show as a whole. Because, if you’re interested in feminism, gender or the experience of women and you’re not watching Mad Men, I’ve gotta say – you’re missing out.